Gearsofguns had the opportunity to review some bulk 30-06 Springfield ammo. BULK AMMO sent us a box of Federal 180gr 30-06 Power shok. At 100m we had a clean 5 round group in a half dollar on the paper and and a 3 round stack on the steel. After shooting we checked the barrel and bolt to see how clean the ammo shot and we ran a dry cloth down and came out with a fairly clean cloth and when we wiped the bolt only found oil from the last cleaning. The recoil felt for a 30-06 from past experience was about the same. Velocity at 100 yards: 2470 fps. Velocity at 300 yards: 2045 fps. Energy at 100 yards: 2439 ft/lbs. Energy at 300 yards: 1671 ft/lbs. Overall performance from the round was excellent. Zero malfunctions or problems. Bulk ammo shipped the ammo out to us on Monday and we had the ammo in our hands by Wednesday. 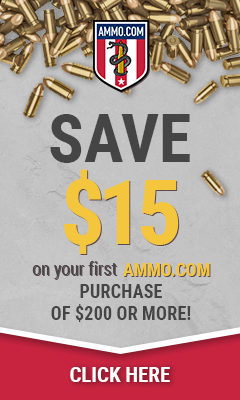 We would like to thank Bulk ammo for the chance to review this product. 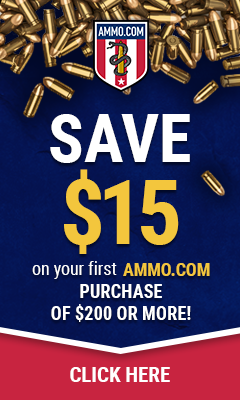 Be sure to check out Bulk ammo for GREAT deals on ammo. Tagged .30-06. Bookmark the permalink.